When selecting a mod you will "see and hear" what you are installing. please make a clear post about the issue you have. Do not make us guess what you are meaning. Note: Before you make any changes make a copy of the file(s) you are going to edit. If things get mixed-up, use the backup files to go back to the point where you started. In case of Additions, Corrections or Suggestions to this FAQ please leave a comment. In new versions to use statistics in XVM, you should activate it in your personal cabinet at the official website of XVM. Registration is not required because Wargaming.net ID is used for authorization. For testing, you should use XVM 5.2.0-test1 or higher.Discussion and testing: topic on official XVM forums. On the official website of XVM (www.ModXVM.com) click on the “Sign in” button at the top of the site. 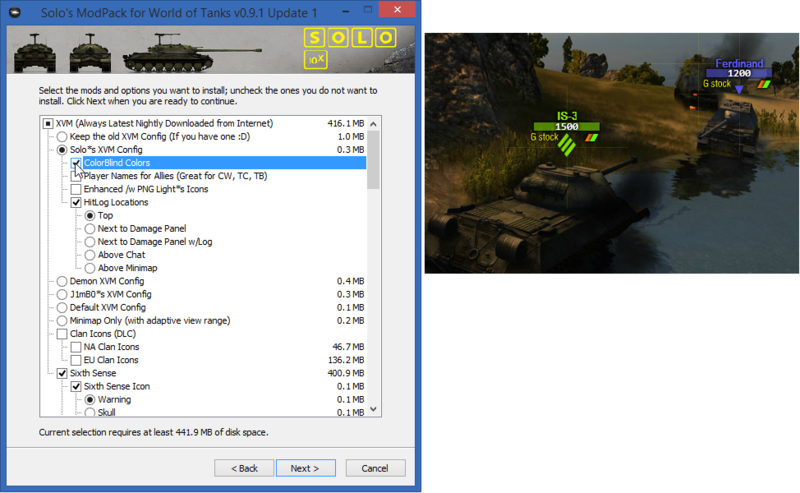 In the menu that appears to select the region of servers where you play in World of Tanks. 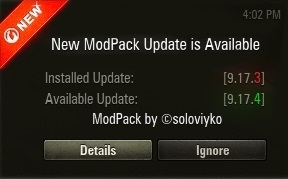 If you are not logged in on Wargaming.net, you’ll be asked to log in. For the authorization enter the email and password used in the game. Note: this is the official website of WarGaming.net Corporation, designed specifically for secure authorization on any resource. Do not enter your email address and password from the game on other websites for your safety. Also, in order to protect against phishing not forget to check the website address in the browser address bar. After passing authorization (or if you are already have been logged in) you will be prompted to provide access to your nickname for the site account.modxvm.com. Note: Only your nickname is used for authorization. No other information, such as your email and password, will be shared. After successful activation, you will see the duration of your access to the statistics. Upon expiry of the activation, you can extend it again. Now you can see the statistics in the XVM if its display is enabled and configured in your configuration. What are those 2 dots beside every tanker name (OTM) for Solo’s Config? It shows the win percentage and WN8 in colors. For example, a 53% win ratio the dot is green. A 45% win ratio will show a red dot. Enable/Disable extra data on the lower right side of the statistics tab in the Vehicle tab of the service record (see screenshot). Error: Cannot find root config element ("config version" must be present) when loading config into XVM Editor. If you use a different XVM version of this modpack the last part (J1mB091) might be different. You can now edit whatever you want to be edited. To be on the safe side: make a backup of your xvm folder before you start; if anything goes wrong you can easily go back to your starting point with the backup. Change the value 'true' to 'false' (without the apostrophes) and save the file. Behind those lines, you will see a list box. Click on it and you will see the options you can select. On the picture, you will see what the outcome of your choice is. Behind the lines, you will see a list box. Click on it and you will see the options you can select. On the picture, you will see what the outcome of your choice is. // X position (negative values - bind to right side of screen). // Позиция X (отрицательные значения - привязать к правой стороне экрана). Change the value 242 (or whatever value you have there) to a lower value to move the hitlog to the left; or to a higher value to move the hitlog to the right. // Number of lines with hits. Old lines will be pushed out. // Количество строк с попаданиями. Устаревшие данные выталкиваются. Might be caused by a config that installed some (new) fonts with it. Close your client, restart your computer (for proper installation of the fonts) and restart your client. What does the 2 digit WN8 number stand for? What does adaptive view range mean? 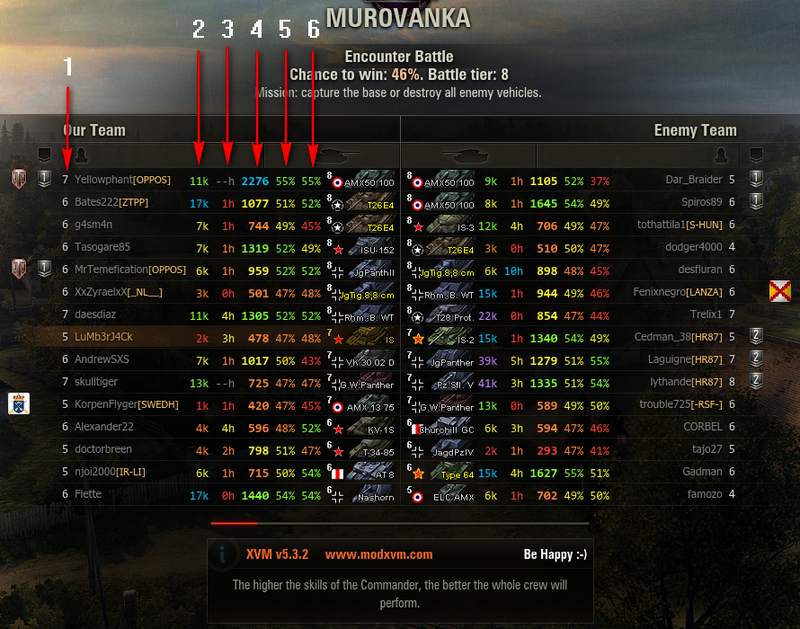 The adaptive range is the view line is based on your tanks view range and not the standard 445m. Do I need to uninstall before I can install the update? // onHold: false - take action by key click. true - while key is remains pressed. // onHold: false - произвести действие по разовому нажатию клавиши. true - по удержанию. Note: standard option is left-ctrl (keycode = 29). If you want to use a different key but don't know the keycode for it, click here. Use the mod tab located in-game settings. Bare in mind 32 is the maximum. Larger values don't work. Note: in the zoomX.json file it says the max value is 60. But currently, it’s 32. (it’s bug). 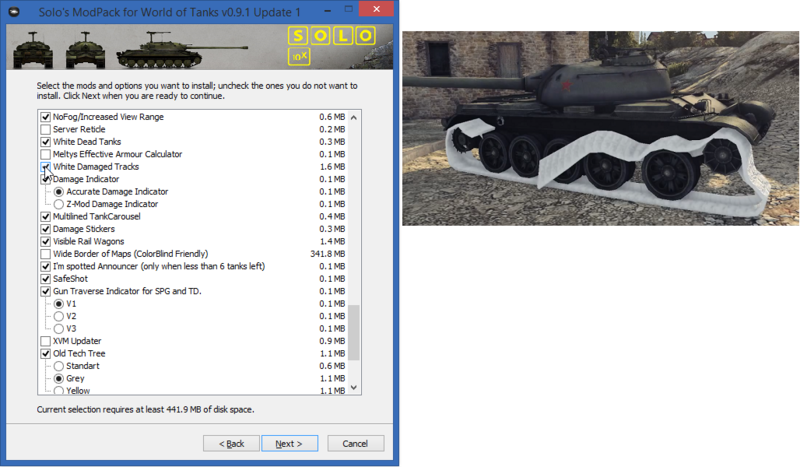 \World_of_Tanks\res_mods\xvm\configs\J1mB091 (last part might be different for you; depends on the xvm version you are using from the modpack). There are about 30 *.xc files in that folder. Click on the tab 'Colors 1'. Now you can change the colors for friendlies and enemies (and also for platoon members and teamkillers). 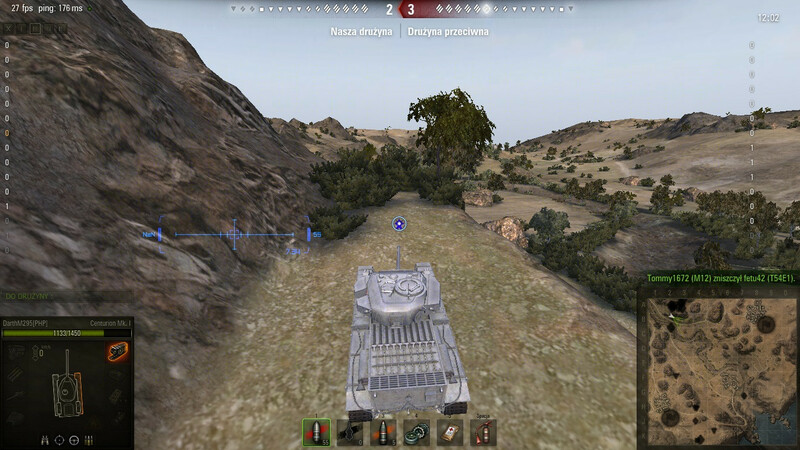 When the battle loads i'm zoomed in on the gun barrel and need to zoom out to see the tank, any way to change this? Open the file "onStartDeadDistance.json" with Notepad++. Look for the line "startDistance"
Save the file and restart your client. If you want to zoom out a bit more, change the value to (e.g.) 12. The lower the value: the more zoomed in, the higher the value, the more zoomed out. idp.dll is a file inside the installer. 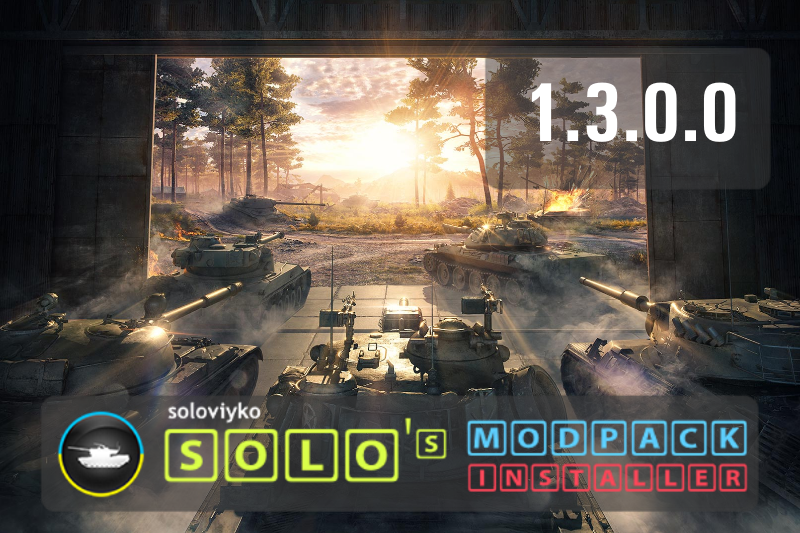 The file is needed to download the mod pack files (DLCs). Most likely cause for this error is the firewall or virus scanner blocking it when the installer started to try to download the mod pack files. In that folder, there are about 30 .xc files. Select them all and click open. When your battle is loading you will now see the win prediction. In battle when you hit the Tab key, you will see the win prediction. Click on Battle results and check the box 'Show chance to win' if you want to see the win prediction in the after battle report. Open your World of Tank folder with your explorer. Note: not all the above-mentioned files might be in this file. Now the game will check for missing or corrupted files and redownload and add them. This might take up some time (depending how many files are missing or corrupted). After that, the problem should be solved. If the game still won't start (some) mods might be causing it. Rename your res_mods folder to res_mods.bck and create a new, empty, res_mods folder. If the game still won't start the only solution might be a completely clean install of the full client. Close your client and (re)activate XVM on the website (http://www.modxvm.com/). After that restart your client. First is absolute min and secound is absolute max. Change the numbers to your likings. How to shorten/lengthen the visibility of the Info panel? Open the file InfoPanel.xml with Notepad++ and look for the lines: delay >6 (the file contains 4 of these lines. Change the value 6 to a lower value to shorten the visibility or to a higher value to lengthen it. This FAQ was made possible by JDF. To download click the Icon and you will be redirected to new.soloviyko.com. If you like Solo's Work, please click the of this post. For those tankers that want it here's VirusTotal Scan. Edited by soloviyko, 12 December 2018 - 02:49 AM. Edited by soloviyko, 02 April 2016 - 01:25 AM. Yes I do, and request will be in the Update 8. Enjoy. i use your mod from v9.1 Update 7 and i am very happy with it. for me is working update 5 of this. update 8 it give me lag. * No reload announcer, I am used to press "C" and my reload time is announced to the team. Something to do with the radial menu? * Damage panel is misaligned, I use the Jimbo config, and the display is 1920x1080. * And finally, I cannot see my mastery badges in the garage. Otherwise, a reallly nice modpack! hey solo, can u add few more crosshair like taipans & kodos. is there a way to choose different option in the graphics tweaker? I'm sure it's been asked before, but I couldn't find a proper answer unfortunately. Can somebody plz explain me what those numbers in the loading screen mean? Edited by LuMb3rJ4Ck, 20 July 2014 - 11:43 PM. Currently don't see a need for more Crosshairs, but maybe in future. Shouldn't like that. XVM was optimized a bit in Update 8. Enjoy, I was also requested on NA thread. Yep, we need more Icons. 1. Reload announcer was long ago implemented into WoT client. When tank is reloading open radial menu and you'll see it. 3. Mastery badges is a XVM feature and depend on what config you use. Solo config has it on. I have some serious doubts about that screenshot. I only seen that happen on Test Server and when running old mods. Edited by soloviyko, 21 July 2014 - 03:08 AM. After more testing i know all bugs causes XVM, any config any version. Great MOD i decided to be my regular mod in future! By the way is there any chance to know what isthe name of this crosshair!? Edited by pp91fin, 23 July 2014 - 05:14 PM.